The Croatian History Teachers Association is a neutral and independent association of individuals and legal entities that combine to achieve common goals. 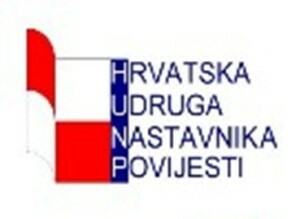 It is a non-profit organization situated in Zagreb. The main goals of the Association are to encourage the development of history teaching, to organize educational courses for teachers of history as well as to facilitate the exchange of information in this sphere. The Association works in collaboration with the EUROCLIO and the Centre for Democracy and Reconciliation of South-East Europe. The Members of the Association have participated in seminars abroad and a lot of opportunities are opened for new projects.